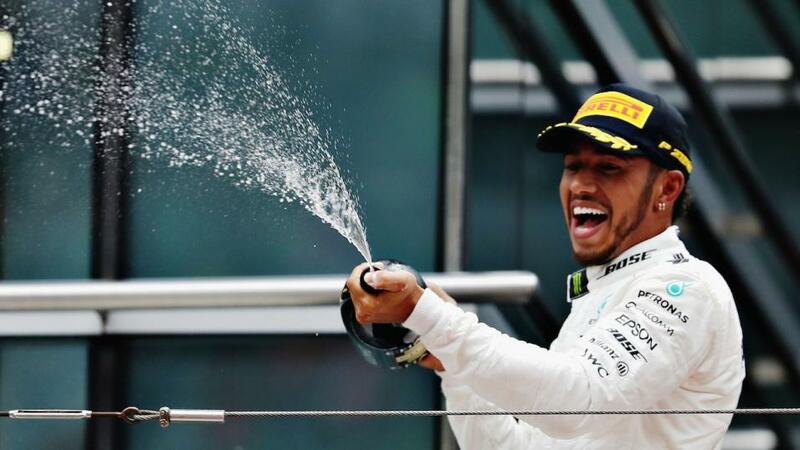 "Lewis Hamilton, a 5/2 shot for victory, is a serial winner in China and Mercedes continue to look strong"
If fans could have rigged the calendar, there would have been a number of circuits F1 supporters would have chosen ahead of Shanghai - Silverstone, Interlagos, Monaco, Albert Park just to name a few - to host the 1,000th Grand Prix. The Chinese Grand Prix is much maligned because the circuit is well outside the city and the ticket prices make it almost impossible for the locals to attend - but the track itself does at least create some exciting racing and there are none of the overtaking struggles thanks to the two long straights. But they are double-edged swords which also expose any shortcomings in terms of engine power and should prove once and for all which power unit can command supremacy after a ding-dong battle at the front of the grid in the opening two races. The battle at Ferrari is going to be a fascinating one and no doubt at some point, the team will have to choose their No 1 driver. Charles Leclerc deserved a win in the Bahrain Grand Prix - he would have been a successful 5/1 tip from this very column - and the disappointment in his voice was heart-breaking to hear. But there is little doubt that the Monegasque will be a race-winner in the future, something of which his team-mate Sebastian Vettel will be all too aware. The German is second-favourite for the title overall at 3/1 but Leclerc is close behind at 10/3. For Mark Webber, whom Vettel himself upset as a young upstart at Red Bull, this will feel like karma. Vettel meanwhile will have to learn to remain calm under pressure. A mistake when battling Lewis Hamilton in Bahrain showed him straining for time but in qualifying he is a different beast. Odds of 5/2 for Vettel to post the fastest time on Saturday in a Ferrari that should have the fastest engine and take pole position look too good to turn down. Even by his own standards, Hamilton has good form in China. He has been the first one to point out the pitfalls in the Chinese Grand Prix and its location, but he has been remorseless once the lights go green. He has stood on the top step of the podium five times - only Canada and Hungary have seen him claim more victories - and while he hardly deserved to triumph last time out in Bahrain, you can only race what is there in front of you. Mercedes may have looked a shade slower than Ferrari in pre-season but that has yet to materialise. Ferrari will not roll over easily and are rightly favourites but when you are getting 5/2 on Lewis Hamilton to win at one of his favourite circuits, it feels like a no-brainer to get behind him. Daniel Ricciardo's win for Red Bull in China last year was one for the ages, with the Australian fighting his way through the field to claim a truly remarkable race win. The Australian benefitted from a bold strategy call but also a perfect set-up for the track - something his former team failed to find in Bahrain a fortnight ago. But the Honda power unit has shown marked signs of improvement - it is a vastly better product than the misfiring lawnmower engine they put in the back of the McLaren - and on a track where those with limited speed will struggle, Red Bull will arrive in the Far East with rightful confidence. They are by no means a certainty to challenge at the front, but if the race does become fragmented, they are in a good position to pounce and a 13/1 shot for Red Bull to provide the winner looks like a valuable punt - and a clever hedge against Hamilton's chances.